The Indian Premier League is one of the most lucrative sports tournament around the world. Anybody who plays cricket, wants to play in the IPL and not just for money but also for fame and future endeavors. Riyan Parag is one such example, the seventeen year-old cricketer, who plays for Rajasthan Royals in IPL. 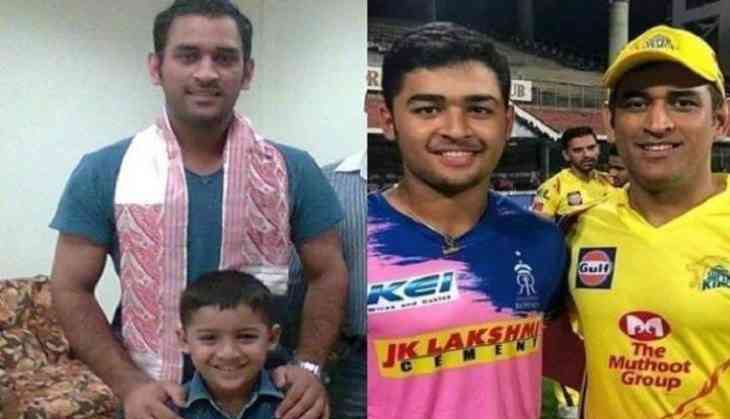 Riyan Parag was just a six-year old boy when he first met Mahendra Singh Dhoni in 2007 and got a photo clicked. Parag met Dhoni when India was playing a bilateral ODI series against Pakistan and played a match in Guwahati, which they won. Parag got the opportunity to meet his idol after the match as his parents are both from sports background. Parag was just three-years old when MS Dhoni made his international debut in 2004. The age difference between Parag (17) and Dhoni (37) caught Twitter’s attention and fans were quick to react on their first meeting as rivals. Riyan Parag is from Assam and his father and mother both played sports at different levels. Riyan’s father Parag Das is a former first-class cricketer and his mother Mithoo Barooah is a national record holder in swimming and also represented her country in Asian championships and SAF games. Riyan made his T20 debut for Assam in domestic cricket in 2016-17 season. Riyan was part of the U-19 Asia Cup squad that won the trophy this year. Riyan also has the second-fastest 50 in U-19 cricket after the current Indian skipper Virat Kohli. He is also India’s second highest run scorer in youth Test cricket.